Will Beer Freeze in the Freezer? Does Limoncello Liqueur Need to Be Refrigerated? Refrigerating just-bottled beer can interfere with the conditioning process. 1 How Old Can a Beer Be Before It's Bad to Drink? 4 Will Beer Freeze in the Freezer? Once you've put the caps on your home-brewed beer, your journey is almost -- but not completely -- over. While it might seem obvious that it's time to get these bottles in the refrigerator so you can enjoy them cold, this could actually be a mistake. There's a final step you need to take before you chill the bottles. In order to understand why you shouldn't refrigerate beer after bottling, it helps to understand the way the final fermentation works. Just before bottling, you'll have added a small amount of primer sugar to the mixture. This will initiate a short period of fermentation as the yeast present in the beer digest the sugars. 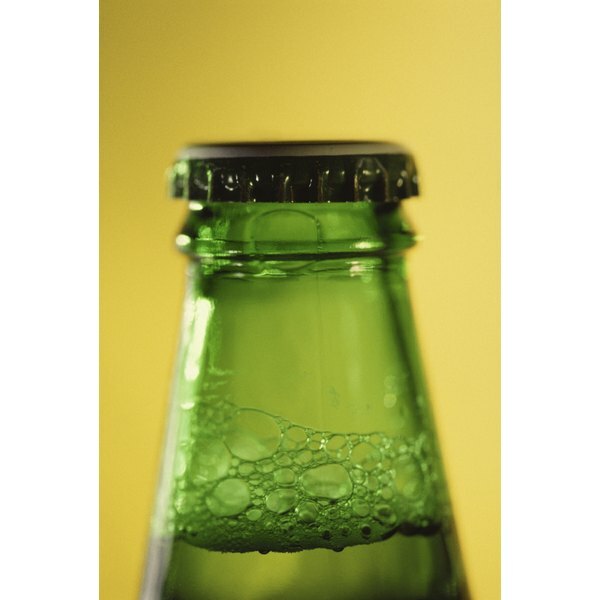 However, because the bottles are sealed, the carbon dioxide bubbles released by the process will remain in the beer, giving it its carbonation. Chemical reactions during this period also influence the final flavor; this is called "conditioning." Fermentation depends on several factors. Yeast and sugars must both be present, of course, but even if they are, fermentation won't happen or will happen slowly if they get too cold. Refrigerating home-brewed beer immediately after bottling can pause fermentation, leading to flat beer or beer that takes months to carbonate fully. If the beer is returned to room temperature, fermentation will start again. The bottles can burst as active fermentation resumes. After bottling, store your beer at room temperature during the carbonation and conditioning process. The length of time required will vary depending on the beer you're making; it could be as little as a week or two or as long as several months. Lagers typically require longer storage at lower temperatures than ales, although both thrive in temperatures warmer than a typical refrigerator. If you're brewing in a hot climate, however, you may need to chill them just slightly in order to reach the ideal temperature. After the first few weeks of conditioning, your beer should be safe to refrigerate. One reason many people may feel the need to refrigerate their beer is that they're accustomed to the idea that beer has to be served ice cold. In fact, few beer experts share this assessment. Ale should be served at cellar temperature, slightly below room temperature, for the best flavor. Lagers are traditionally served a little cooler, but the low temperature most bars use tends to mask the flavor.